Home > Dining and Gourmet > Desserts > Häagen-Dazs’s: Free Flavoured Latte is Limited to Chocolate Latte Only. 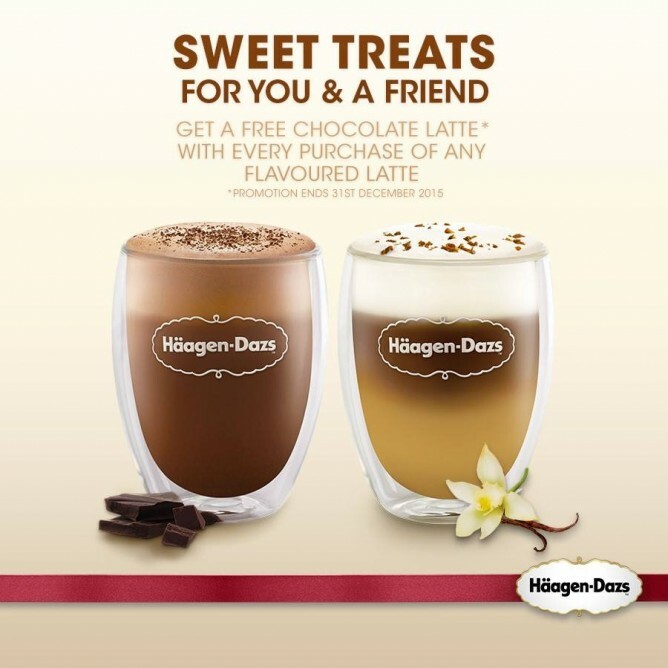 Till 31 Dec 2015 Häagen-Dazs’s: Free Flavoured Latte is Limited to Chocolate Latte Only. 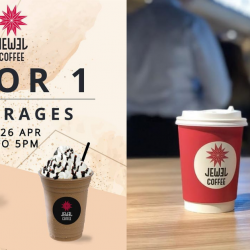 Share a cup of goodness with a friend, buy any flavoured latte and receive a chocolate latte free. Made with their indulgent ice cream and illy®'s delicious coffee beans, bring your loved one along to any of their stores to enjoy this special treat. Term and Condition apply. Free Flavoured Latte is limited to Chocolate Latte only, promotion ends 31st December 2015. 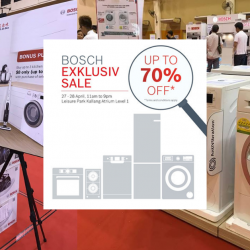 Next: Go.BestDenki: FREE Dolce Gusto Coffee Machine with Purchase Selected LG TV.